Is there a market for video in the region? The use of video marketing has become a global phenomena in recent years, but those of us currently working in the UAE, or even for those looking to expand to the region may have no idea how well it’s doing here. One thing to know first is that video marketing viewing in this region is growing exponentially. The UAE ranks second in the world with 310 million views per day on YouTube. This statistic alone should make you realize the potential of video marketing if you haven’t delved into it yet. When you divide this up between the UAE and the Middle East, you’ll find a lot of other interesting statistics inspiring you to go forward. Take a look at some more numbers to show you how fast video marketing continues to grow in this part of the world. How Many Videos Are Uploaded Per Minute? Further stats show those living in the MENA region upload up to two hours worth of video per minute. More specifically, the UAE came out on top in these percentages at 71%, respectively. Places like Egypt have increased their video consumption as well at 68%. Lebanon, Morocco, and Saudi Arabia continue to show slightly slower growth, but it’s there. It just goes to show how fast things have changed in these regions by embracing new technologies and marketing ideas. In the above statistics group, it shows 75% of UAE respondents use a mobile device to watch a marketing video every day. Almost as many people in the region say they prefer using a mobile device to watch these videos compared to any other medium. This just shows you how much mobile plays a big factor in the way consumers want to watch videos. The awareness of mobile should make you realize that when you create a video, you’re going to need to optimize it for the mobile format. It means being sure it can size correctly for the particular mobile screen. You also want it to work fast without lagging since most mobile viewers have no patience for slow loading video. 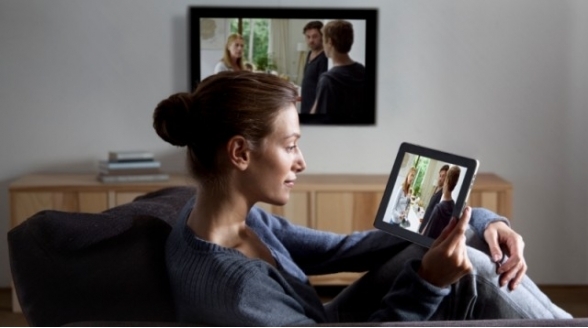 Did you know 79% of those in the UAE consume short-form video content on their mobile devices? This is quite a departure from watching them on desktop / laptop or television. Short videos have become a major new marketing trend in other parts of the world, like the United States. However, the UAE/Middle East now realize the value of being able to tell a corporate story in well under ten minutes. In many cases, this might mean just a one-minute video spread out over a short video series. As Entrepreneur points out, the UAE has also recently acquired the trend of using real-time video marketing experiences. They also note users in MENA spend 40% of their mobile time on social media. It’s a major hint about many in the region wanting real-time connections. Don’t hesitate to do the same with your customers using many free live-streaming apps like Facebook Live. These tools can help you connect and engage with leads instantly if you’re holding an important business event and given that the key players in social media are rewarding video and live content with additional impressions, it’s a sound strategy. Even with this, though, you’re going to need to plan ahead to make sure you capture your targeted demographic. The above UAE statistics show those younger (ages 18-24) are twice as likely to watch a video on a mobile device than an older adult. Now you see how valuable the Millennial generation is in UAE as much as they are in places like the U.S. In the coming decade, it’s important to start focusing on them and their pain points when creating your marketing videos. We can help you here with these goals at React. Contact us to learn more statistics about the use of videos in our region and how we can help your company achieve superior video content marketing.